Every donation will be TRIPLED when you donate today and go towards helping us clean up the Bay, address climate change, and Maryland healthy! Protecting the Earth and promoting Environmental Justice are two of the reasons I love working at Maryland LCV. As a Latina immigrant who grew up around nature and green spaces, protecting these is essential to my heritage. Moreover, as an organizer working with Latino communities, I know that fighting for our environment also means fighting to protect the communities that are most impacted by climate change and pollution. One of my proudest moment was sitting beside the Chispa Maryland Promotores as they accepted the 2017 John V. Kabler Award for their leadership in their community to green their schools and communities. Thanks to supporters like you, this past summer, we graduated the second class of Latino leaders as Promotores to engage and educate their communities. This work allows me to stand alongside and support amazing community members and leaders to protect their health and fight for justice. This is why I am proud to be part of Maryland LCV and the amazing work to make sure Maryland leads the way in protecting our mother earth. UPDATE: We've gotten dozens of donations in the past week and we are only $3,000 away from achieving our goal! Every donation will be TRIPLED when you donate before December 31st- up to $10,000- give today! I learned the hard way that all the research in the world doesn’t matter once the bulldozers arrive. I started my career as a scientist and researcher in the field catching and releasing bears, bats, and birds. I thought studying their beautiful natural habitats and sharing sound science demonstrating how important they are to ecosystems and the human communities around them would be enough to save them. But time after time the sound science was ignored by short sighted policies. In a previous position, I taught students to reforest streams along the Potomac River and learned how great policies made thousands of on-the-ground projects possible. Time and time again, I’ve learned how important policy is to protecting the environment we hold dear. Your gift will help us keep the Bay clean, address climate change, and work for clean air. Every donation will be TRIPLED when you donate before December 31st! So I traded in my work boots for work shoes and got to work on good policy. Here I am testifying at the Howard County Council meeting for tried and true methods protecting our waterways from the devastating effects of stormwater pollution. I am honored to work for an organization that uses sound science and research to make better policies here in Maryland. With your support, Maryland LCV is able to ensure our elected leaders represent your environmental values. I’m so grateful to live in Maryland where we’ve made incredible progress over the past year thanks to the conservation leaders that we support. I’ve had a challenging (and tiring!) year on many fronts. It has been hard watching the Trump administration threaten the things we value: our clean air and water, healthy communities, and the foundations of democracy. At the same time, I welcomed a new baby in June and am inspired by all of the new people I see getting involved the issues I care about. Here at Maryland LCV, we accomplished so much in 2017- including increasing our state’s renewable energy goals and banning fracking. We could not have done that without the voices of our long time supporters and new supporters alike. I’ve also been so energized by all of our donors who are increasing their investment in our work. We’ve all realized it’s time to double down on our efforts if we want to protect our environment for our kids and grandkids to enjoy. The environment has been a top priority for me in every election I’ve voted in since 2000, when I turned 18. Growing up in Michigan I spent a lot of time outdoors, especially enjoying Lake Michigan during the warm months. Now that I call Maryland home, I’ve been working since 2010 to help elect pro-conservation candidates. I spent many years working directly on campaigns until my position became available at Maryland LCV. One of the things I love most about the Conservation Voters Movement is being connected to a national group in Washington, D.C. that works on federal issues, so we can really dig in and focus on state and local issues. I also love being a part of a network of over 30 other state leagues, including the one doing great work back where I grew up and where much of my family still live. Even though it can be easy to lose hope when we look at federal rollbacks of environmental protections I am here to tell you we are making progress in Maryland and we are just getting started. Our movement is growing stronger every day as Marylanders overwhelmingly support protecting our water, land and air. No matter what part of Maryland you live in and whether you have lived here your whole life or just part of it- we all have an obligation to leave our planet as healthy as we found it. That effort starts in our own backyard, and at the local and state levels. Please join me and chip in whatever you can to support our work. A generous supporter has agreed to triple your gift until Dec. 31st but don’t delay. We are already making big plans for 2018. Please give generously so we can continue our important work. Thank you so much for all you do. P.S. Your year-end gift will be TRIPLED if you donate before December 31st. Please give what you can, every gift is appreciated. My parents raised my brother and me with the unshakable belief that politics is an active verb, and government is a participatory institution. Its key purpose is to protect and care for those who can’t protect themselves, and so those of us with the ability to speak are bound by a moral duty to do so on behalf of the most vulnerable amongst us. It is this touchstone belief that led me to the Maryland League of Conservation Voters, and to the work that we do here: protecting the land, air, water, and communities of the Maryland that I love so much. It is my joy and honor to be able to do this work with my colleagues, here, as the political voice of the environment – and your voice in the halls of Annapolis. We can do this thanks to supporters like you. We can elect pro-conservation candidates as our elected leaders, who will champion smart, strong and visionary actions to protect our most cherished resources. I am so happy to live in Maryland, in my little Baltimore row-house, where so much progress can be made, thanks to all the people – like you – who are willing to work with and invest in Maryland LCV – and to make sure that government represents our conservation values. Every donation will be TRIPLED when you donate before December 31st! Your gift will help us keep the Bay clean, address climate change, and work for clean air. When I started at Maryland LCV as an intern in 2009, my main motivation was my passion for the environment and my faith in our democratic representative system to elect leaders who reflect good values of their constituents. Now, eight years later along with dedication to my work at Maryland LCV, I am a co-homeowner, wife, and mother to a wonderful four-year old and my main motivation is to protect my family. Which includes their health and our environment. I know the most effective way to do that is to elect and keep pro-conservation elected officials in office. Because of your support, Maryland LCV is able to ensure our elected leaders represent your environmental values. I’m so grateful to live in Maryland where we’ve made incredible progress on the environment this past legislative session thanks to the conservation leaders that we support. I know that because of dedicated supporters and activists like you, my son Dean (pictured to the right) will be able to grow up in a Maryland we can all be proud of. Great news- every donation will be TRIPLED until December 31st and help us clean up the Bay, address climate change, and keep Maryland healthy! This is my 6th year as the Executive Director of Maryland LCV and I am proud to lead this organization. In my 20 years of experience in the environmental community, it’s never been more obvious that elections matter. We cannot make progress on the environment without the right leaders in office, and that’s our mission at Maryland LCV. It’s our job to help elect and secure elected officials who make the environment a priority in their campaign and their elected tenure. Over the year, we’ve seen staggering rollbacks to our basic environmental protections on the national level and disheartening actions against our air, water, land, and public health. From the devastating hurricanes in the south to the wildfires in the West, it’s never been more important to fortify our state environmental protections. In the next two weeks, you’re going to hear from the rest of my staff about what motivates them to do this work. I’m inspired and honored to be on the frontlines with such dedicated and smart staff. I hope you draw inspiration from them like I do every day. With your support, we’ve able to turn our ideas into actions that elect pro-conservation candidates and send them to represent you in Annapolis. Thankfully, we live in Maryland where we’ve made incredible progress on the environment this past legislative session thanks to the conservation leaders that we support. Will you join me and support Maryland LCV with a donation before Dec. 31st? Every donation will be TRIPLED and help us clean up the Bay, address climate change, and keep Maryland healthy! P.S. Your year-end gift will be TRIPLED if you donate before December 31st. We invite you to take advantage of our monthly giving plan! I will be honored to represent the Chesapeake Bay Foundation as we receive the Chesapeake Champion Award from our close partner and friend, the Maryland League of Conservation Voters. Thanks to our long history of collaboration, we’ve made great strides to further protect this national treasure. There’s a lot more work to do, but thanks to supporters like you, we will continue saving the Bay. As CBF finishes its 50th year, we celebrate progress. But we are not looking back! Our goal is a saved Bay that is the model for environmental restoration worldwide. We must accelerate pollution reduction, further protect and restore vital natural filters and habitat, and utilize the very best, science-based fisheries management possible. We are pleased that our bi-annual State of the Bay health index score has increased again, this time by over six percent, to a C−, better than the D+ from 2014 but still a grade that is far from acceptable. The science is clear, and it has drawn a clear road map for saving the Bay. Now, more than ever, when the Pruitt EPA is trashing sound science, all of the states in the watershed must embrace it. They must hold to their promises to achieve specific pollution-reduction targets by 2025. Our elected and appointed leaders need to build on the momentum and do everything in their power to succeed. The fate of America’s most iconic national treasures is at stake. I look forward to seeing you on Wednesday night. I am so proud to be the recipient of the 2017 Legislator of the Year Award from the Maryland League of Conservation Voters. Together with the support of my colleagues in the Maryland General Assembly, I championed the cause to ban the dangerous practice of hydraulic fracturing (or “fracking) for natural gas. Last session we also passed landmark legislation increasing our Renewable Portfolio Standard to 25% by 2020, as well as my own bill to reduce greenhouse gases 40% by the year 2030. Thank you for standing together with your neighbors in support of the environment. Maryland, and in particular my own District 17 near Washington, D.C., have some of the worst air quality on the East Coast. With these legislative wins, we are now moving our state in the right direction. The renewable energy industries, wind and solar, are key to revitalizing our economy’s growth and protecting our air quality. Over half of Maryland’s electricity still comes from carbon-spewing fossil fuels – coal, oil and natural gas. These dirty fuels are bad for our health, our economy, our climate, and our energy security. Will you join me and the Maryland League of Conservation Voters on November 15th to celebrate these environmental victories? With the Federal rollback of environmental regulations, work at the state level is more important than ever. Maryland has always led the way. Now we need to double down on our efforts to continue our progress protecting Maryland’s air, land, water, and public health. Thanks to activists like you, we were able to: permanently protect Maryland from fracking; override the clean energy veto to increase renewable energy; stop non-therapeutic use of antibiotics on livestock; and close a loophole to stop the State’s use of bee-killing pesticides on pollinator habitats. The Annapolis City Council has nine members, including the Mayor. It takes a majority of five votes to pass any bill, including any bill to protect our environment. The AA Chapter has endorsed seven candidates for the City Council, including the mayor. We are confident, if elected, they will give Annapolis a strong conservation majority on the Council. Now we have to get them elected. This is the seventh in a series that focuses on one of those candidates. In this edition we will introduce you to Elly Tierney, candidate for Ward 1. See the ward map here: https://www.annapolis.gov/DocumentCenter/Home/View/940. Elly Tierney is a downtown Annapolis resident and business owner where she and her husband own a Bed and Breakfast. Since moving to Annapolis she has immersed herself in local issues while falling in love with Annapolis’s unique appeal and character. As someone who has worked in construction for thirty years, she has a deep understanding of an aging city’s physical needs and the multi-discipline approach it takes to address them. Flooding, as-built deterioration, and sustainability of the downtown area while working with limited funds, are problems shared by many east coast historical seaside towns. She also believes that protecting our present historical fabric is not incompatible with economic and environmental possibilities for a more livable downtown. With a degree in Civil Engineering, she began her career at Turner Construction, a national builder and construction manager. She specialized in Preconstruction Management where she coordinated the efforts of the Architect, Owner and Subcontractors to produce a sustainable project design through to completion. More recently, Elly attended the Virginia Polytechnic Institute pursuing a Master of Science in Architecture with emphasis in Historic Preservation. Elly recently completed a three year term as the elected president of the Ward One Residents Association. She is a member of Historic Annapolis, Caritas, Downtown Annapolis Partnership, Spa Creek Conservancy, STAIR, Citizen Review Board for Anne Arundel County Visitors Center, Anne Arundel County Volunteer Center, and Annapolis Bed & Breakfast Association. She resides with her husband Joe Tierney on East Street. They have four grown children. Elly needs your help to win. Here is a link to Elly's website where you can volunteer your time and donate to her campaign: https://www.friendsofellytierney.com. On September 16th, we unveiled our first group of “Green Champions,” an exceptional group of legislators whose superlative leadership on environmental legislation includes lifetime scores above 95 percents and primary sponsorship of priority environmental legislation during the previous three years. The ten legislators honored this year are Senators Cheryl Kagan, Paul Pinsky, and Victor Ramirez, along with Delegates David Fraser-Hidalgo, Bill Frick, Tawanna Gaines, Steve Lafferty, Clarence Lam, Brooke Lierman, and Shane Robinson. Each week we will shine a spotlight on our champions and showcase a video of them. 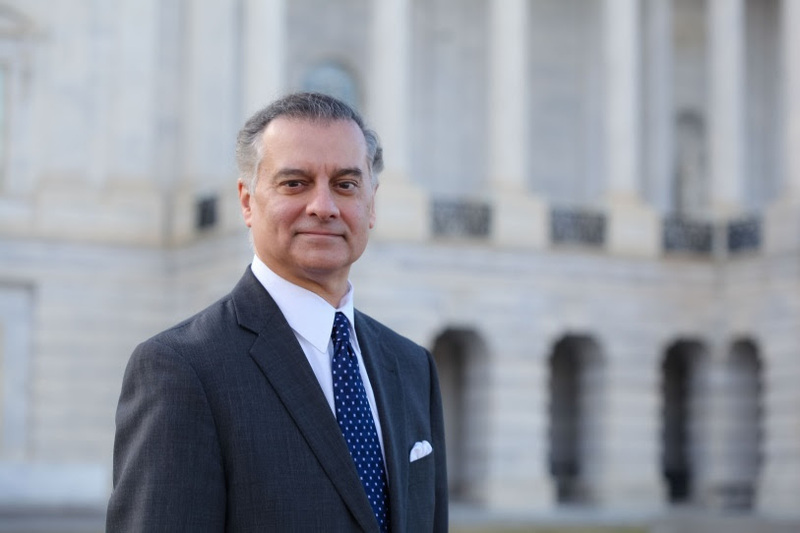 This week is Senator Paul Pinsky, who represents district 22 in Prince George's County. Hi, I'm State Senator Paul Pinsky from Prince George's County and I serve on the Education, Health, and Environment Committee where I'm the Vice Chairman. I want to say that the Maryland League of Conservation Voters is a very important organization. It plays multiple functions: it serves as an advocacy group, organizes people, mobilizes people, which makes life easier for us [legislators]. We can be the voice for those grassroots people. And for organizations were doing the good work around the environment. But it also holds elected officials accountable by publicizes its scorecard. How people still in the issues and lets people know whether they should return to Annapolis or not and that's a very important issue. People want to elect people who take their time and we have to do what it takes to take them out of office and put more progressive people in. Check out his video interview here.